Will Kim-Leno Tag Team Defeat Breed? 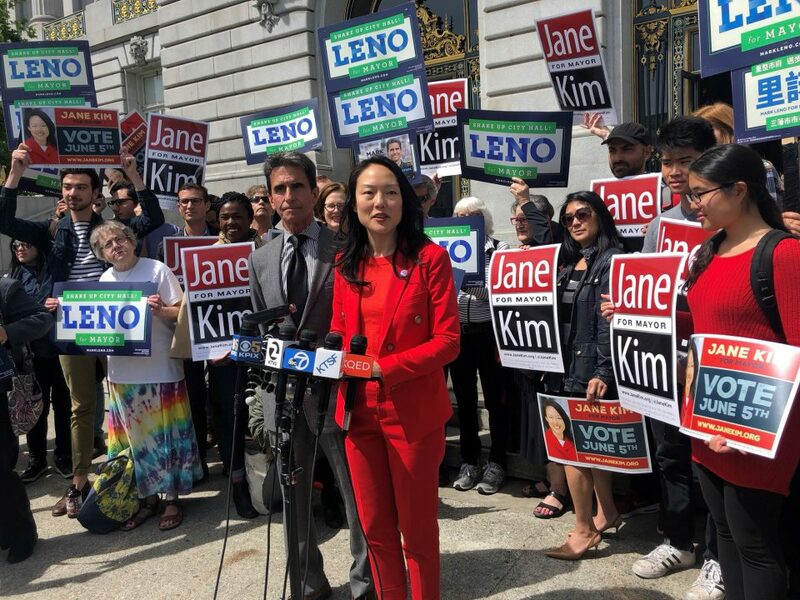 Last week’s announcement by Jane Kim and Mark Leno that they would run in tandem against London Breed made perfect sense. The only surprise is that it did not happen sooner. As I wrote on May 3, London Breed was the clear frontrunner as absentee voting began. Polls showed Breed getting a lot of the second place votes from those whose first choice was Leno or Kim. So Kim and Leno had a choice: hope for a political shift in the month prior to Election Day or aggressively pursue their best chance to win. They chose the latter. But it didn’t take a savvy strategist to realize that London Breed has a larger first choice electoral base than Leno or Kim. The only way either could win is by taking a page from the WWE and using a tag-team approach to ensure that their second choice votes go to the other. Ranked-choice voting is not a “scheme.” It is a more democratic method of elections. When given a choice to implement ranked-choice systems at the city level across the nation, voters typically choose to do so. That more voters are “confused” by ranked-choice voting than the traditional system is a myth. Pedro Hernandez wrote a piece for us in January, “Ranked Choice Voting Empowers SF Voters in Mayor’s Race,” that dispels many common but erroneous assumptions about the RCV process. San Francisco has used RCV since 2004 and it works. The 2010 Oakland mayor’s race offers no precedent for San Francisco’s 2018 mayoral election. Unlike London Breed, Don Perata was a very polarizing figure. He was also trying to win as a white male in a city that had only elected one white male (the one of a kind Jerry Brown) since 1977. Perata was the wrong fit for Oakland. The surprise was not that he lost but why he was ever in a position to be the favorite to win. Strategists for Kim and Leno have seen the same poll numbers I have seen. They showed in late April that only 2 in 10 Leno or Kim supporters said they would be influenced by the second place choice recommended by their top candidate. Those numbers had to have set off alarm bells in both camps. They pretty much took away the scenario both Kim and Leno were counting upon to defeat Breed. So Kim and Leno adjusted strategies in an effort to get far more of each other’s second place votes. The question now is whether their chosen message will achieve this. According to their announcement, what unites Kim and Leno and separates them from Breed is that they reject Super PACS and oppose “billionaires” running San Francisco. The challenge of this message is twofold. First, it requires voters to believe that casting a vote for Breed is turning the city over to billionaires, or one of the “rich white men” for whom Breed was replaced as Acting Mayor. That’s a tough sell. It requires voters to believe that Congressmember Barbara Lee, the most progressive member of the House, and Senator Kamala Harris also want the city to be run by billionaires since both have endorsed London Breed. I don’t think voters not already in the Kim-Leno camp will buy that. When key supporters of Leno are Kim back a candidate funded by billionaires using Super PACS, the distinction between those two and Breed on this issue becomes very thin, if not unrecognizable. Leno is so irate at the Super PAC spending on his behalf that on May 12 he spoke at Equality California’s Equality Awards banquet. Equality California is among the chief donors to the San Francisco for All of Us Super PAC, which is funding ads for Leno’s campaign. Polls show Breed getting votes from a lot of moderate gay men who will make Leno their first choice. Breed is also getting second place votes from women whose first choice is Kim and who want to break the city’s long tradition of male mayors by putting a women in Room 200. Kim and Leno cannot sufficiently increase their percentage of the other’s second place votes without a message that speaks to their unified differences with Breed over major legislation. I have yet to hear what significant legislation shaping the city’s future that they would sign and she would veto, or vice versa. Rhetoric about “billionaires” and “Change” has not swayed second-place voters to date, and is unlikely to ever do so. There is also a potential downside to the Kim-Leno alliance. Some voters may have had the same reaction to the Kim-Leno merger as the Chronicle editorial writer did—namely, that it involves two candidates ganging up on an African-American woman who grew up in poverty in the city’s public housing projects. This could strengthen Breed’s image as a woman battling powerful interests, which is contrary to the message about their rival that Kim and Leno are promoting. Randy Shaw is Editor of Beyond Chron. His upcoming book, Generation Priced Out, will be released in October from UC Press.